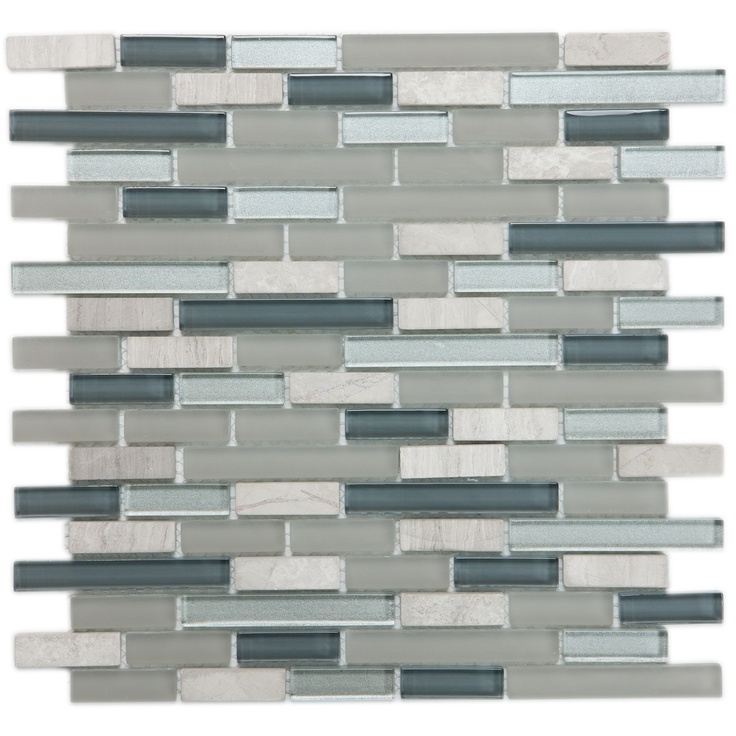 There’s some blue in grey and some grey in blue. 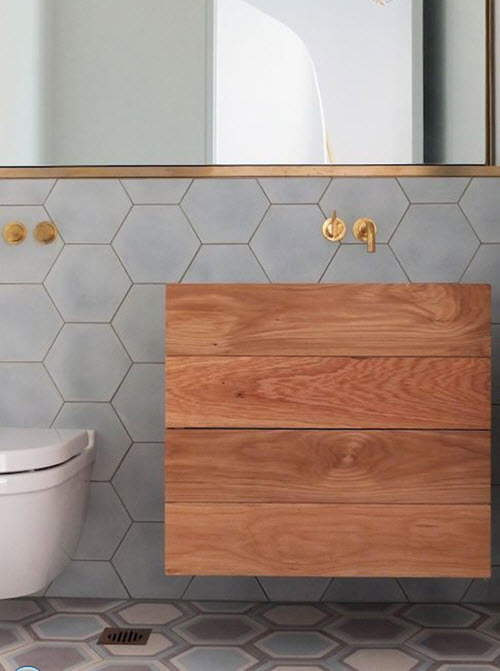 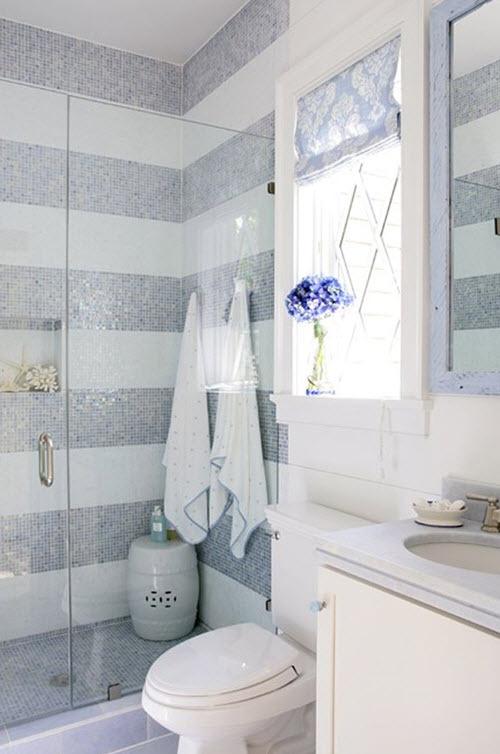 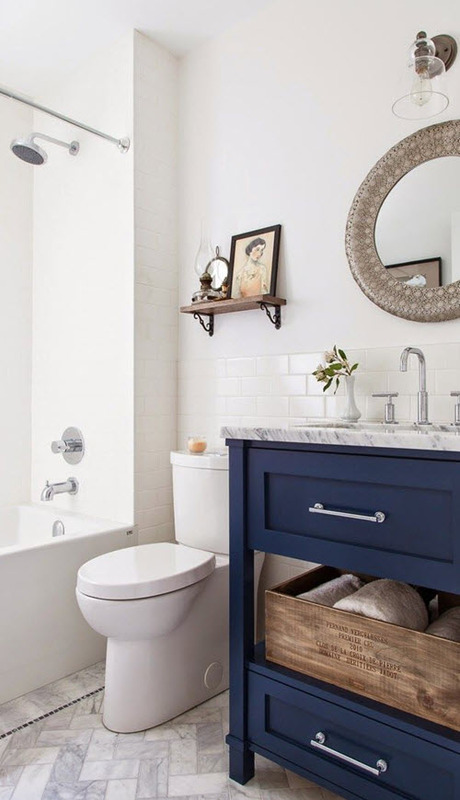 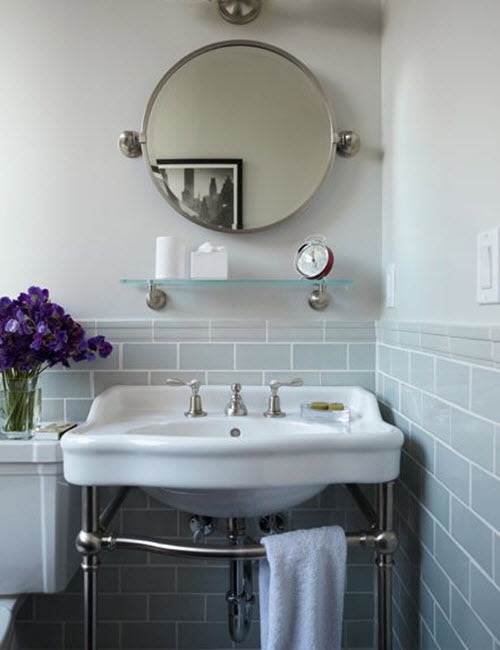 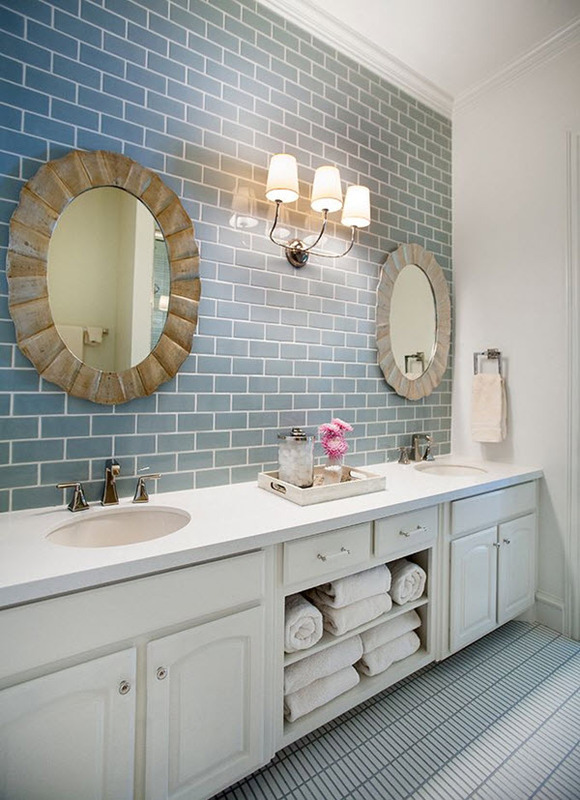 It’s true that these colors are used in bathroom interiors more often than others. 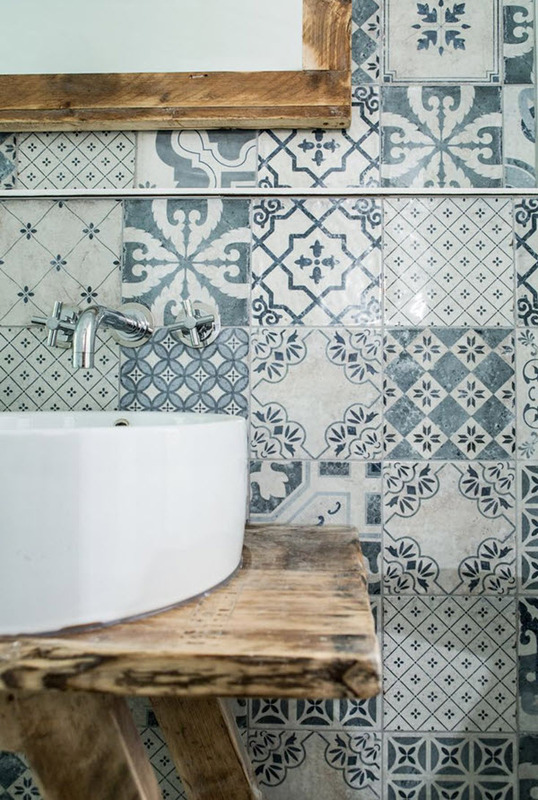 So why don’t you match the two of them? 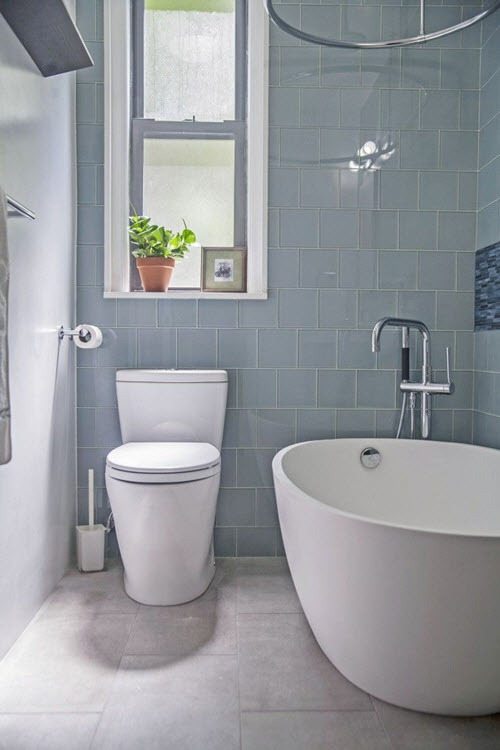 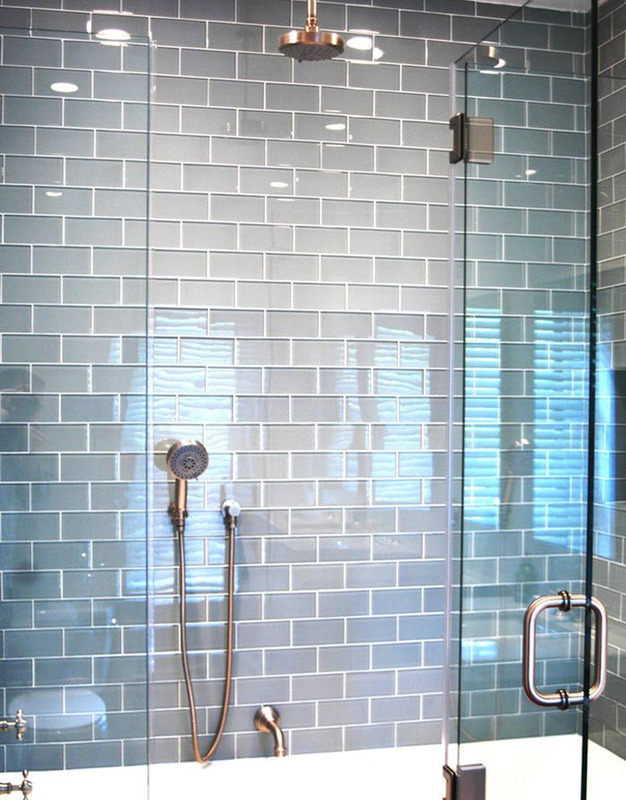 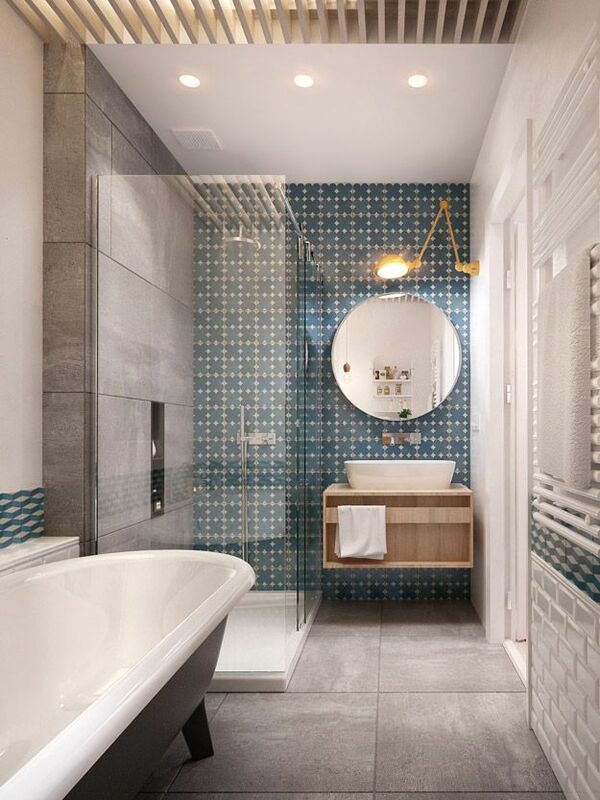 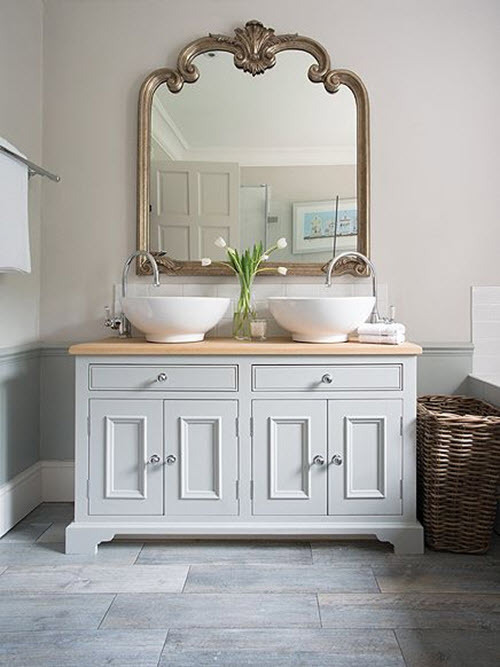 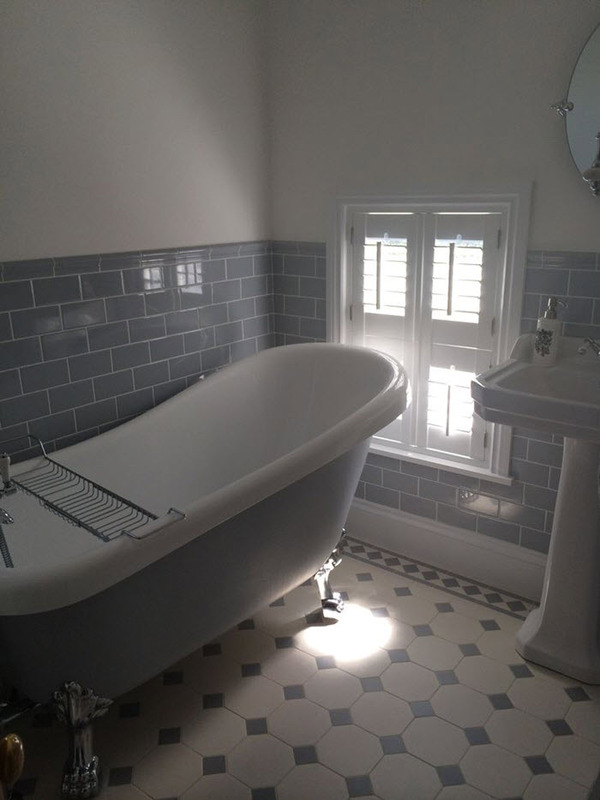 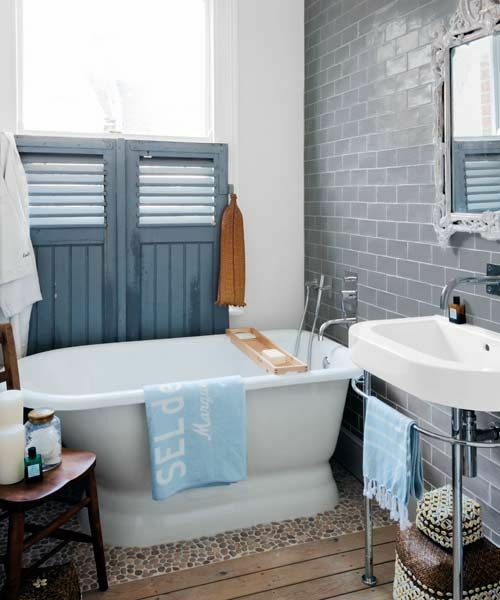 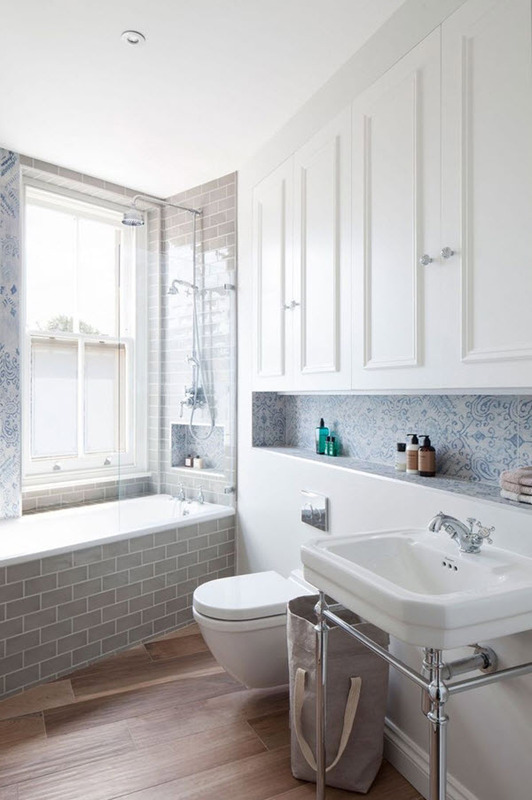 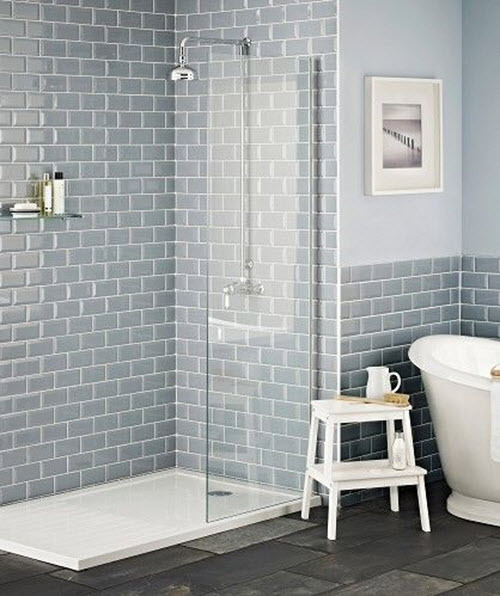 Blue grey bathroom tiles could seem a rarity but if you see through catalogues of different manufacturers you’ll notice a lot of this kind of color. 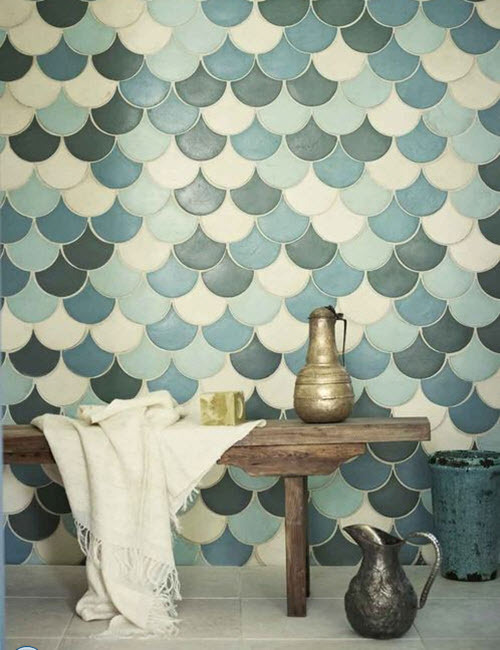 And they offer various types of shapes, sizes and patterns. 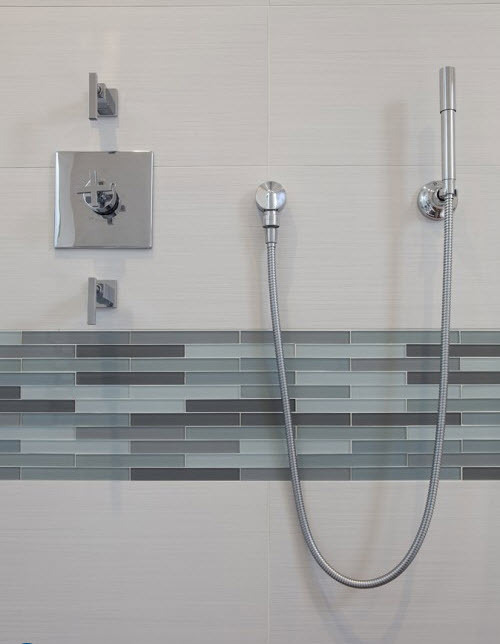 Textured or smooth, glass or matte, ceramic and slate – the choice is wide. 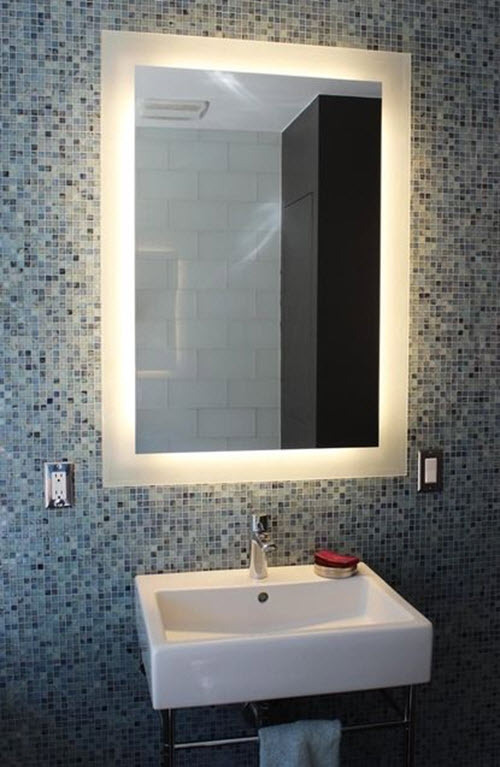 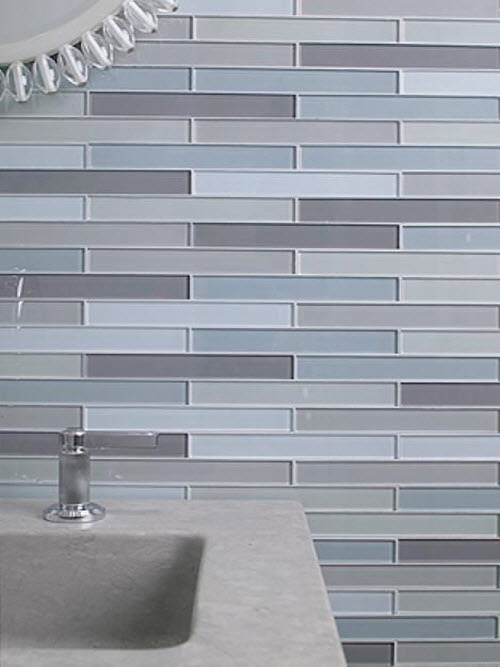 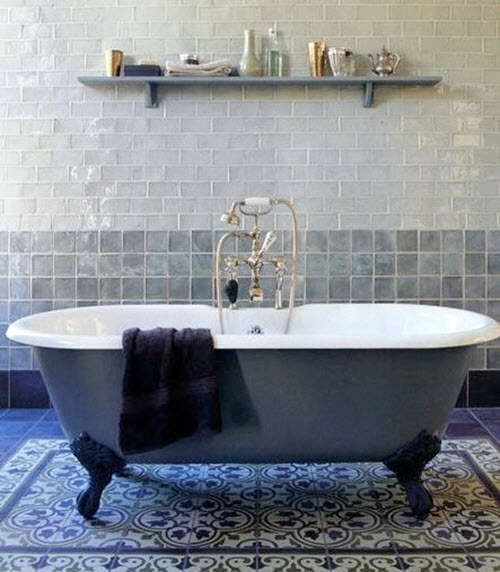 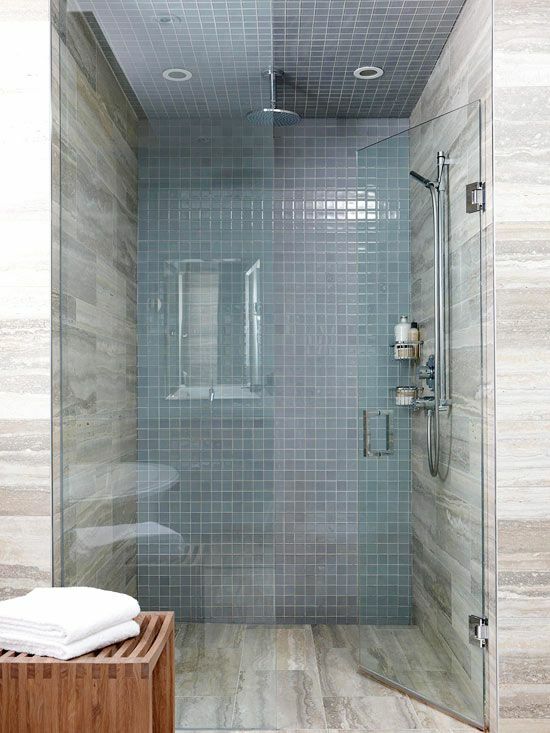 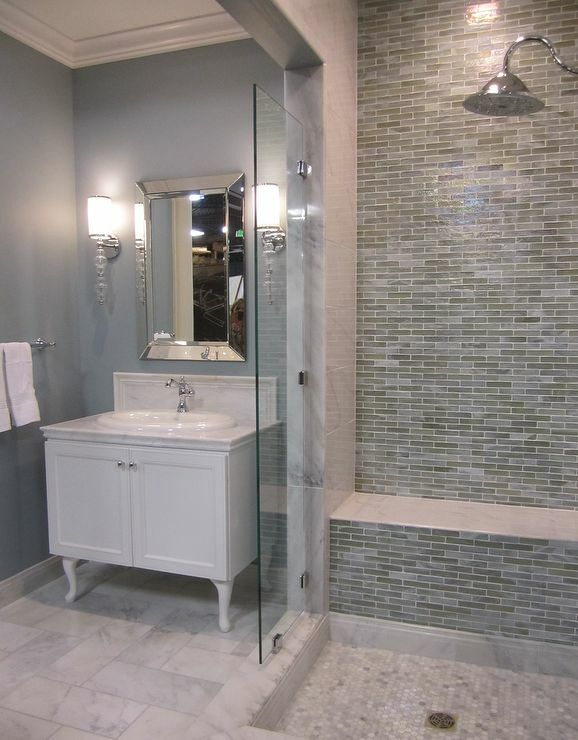 This kind of tile can be used to finish off walls of the bathroom in the first place. 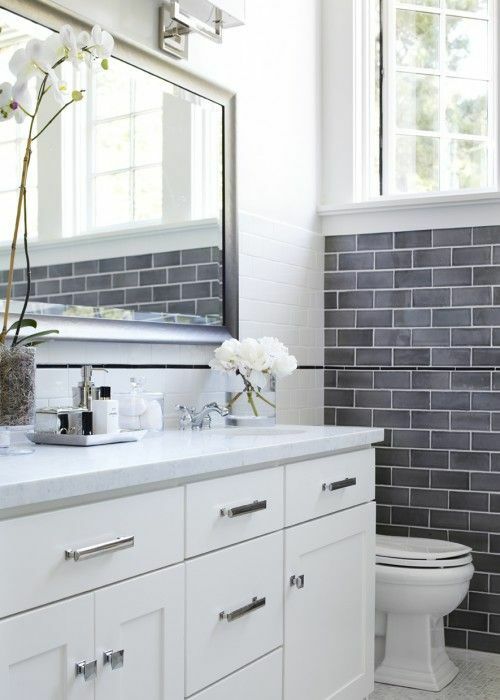 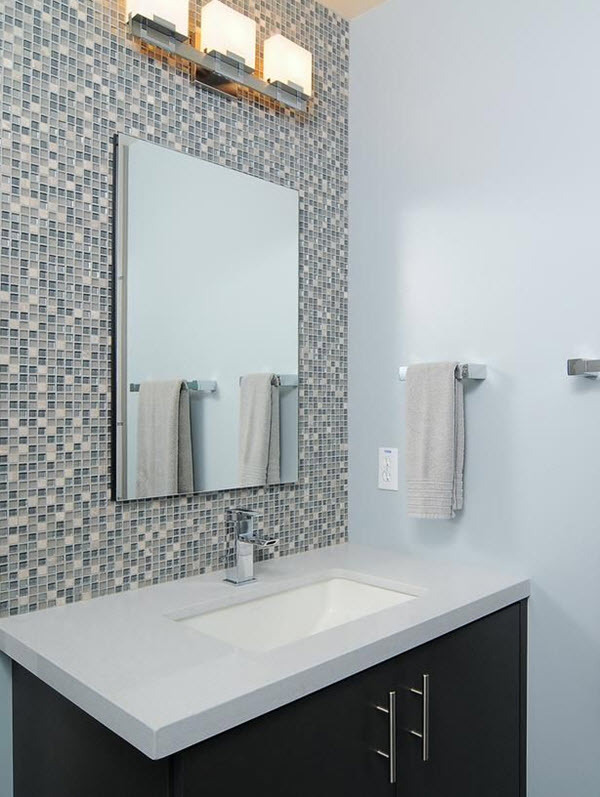 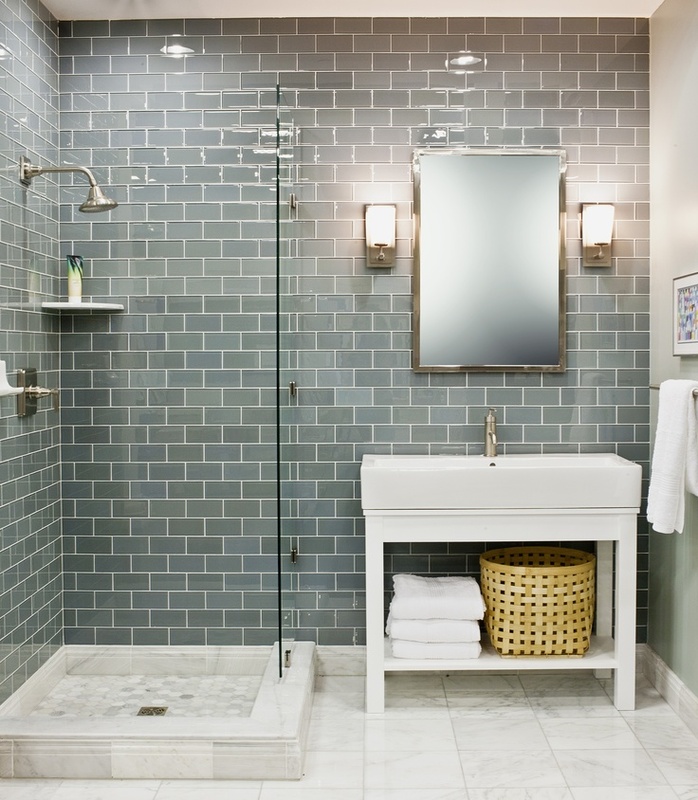 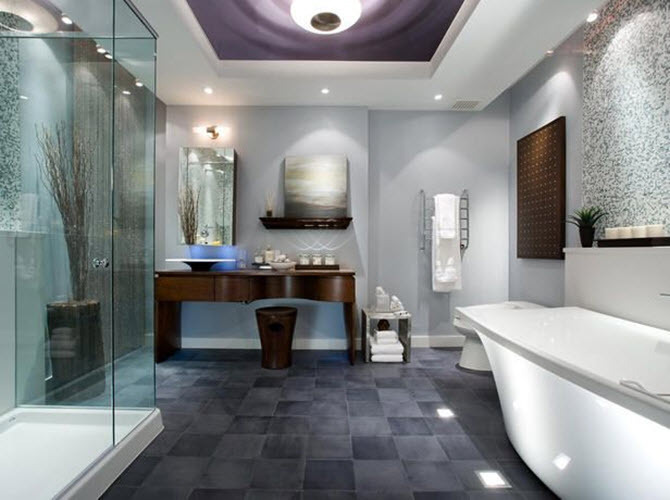 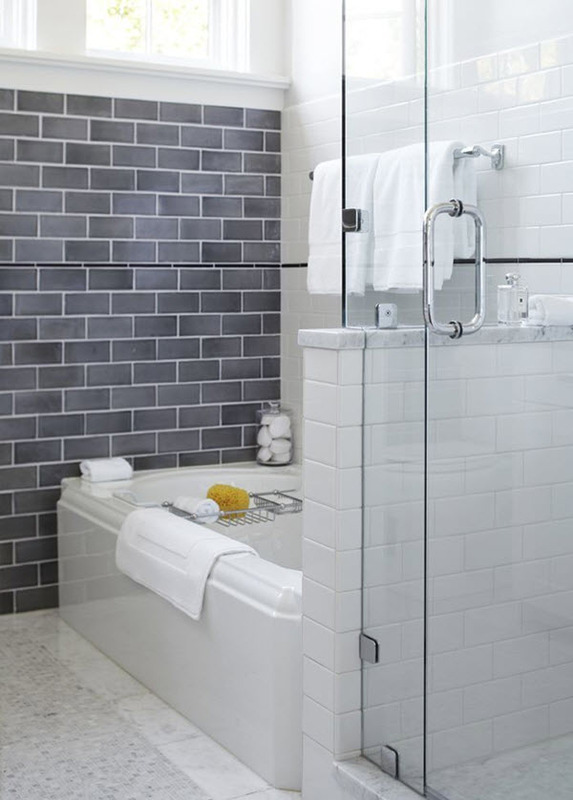 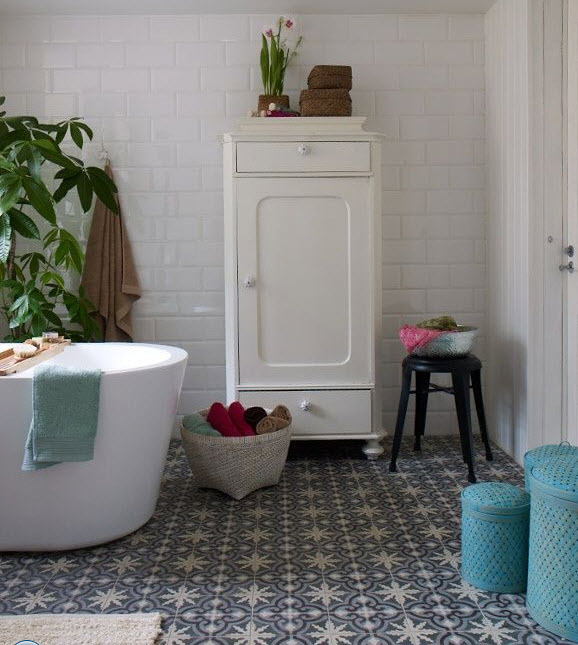 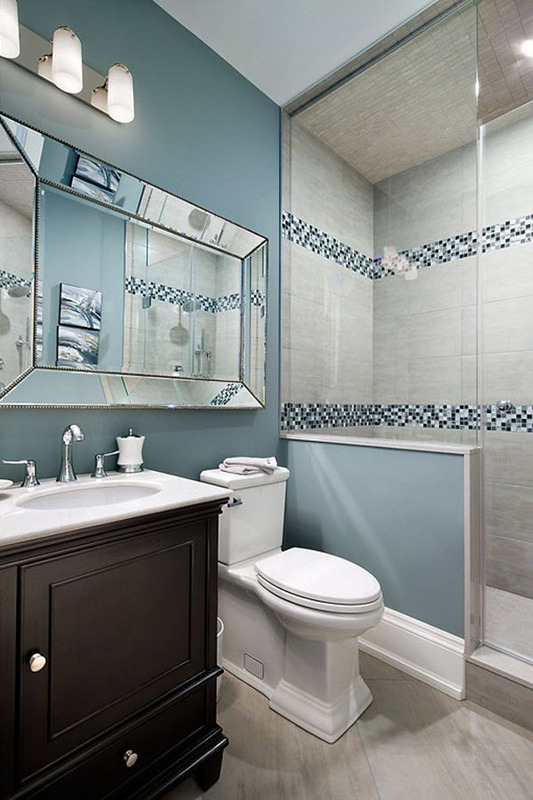 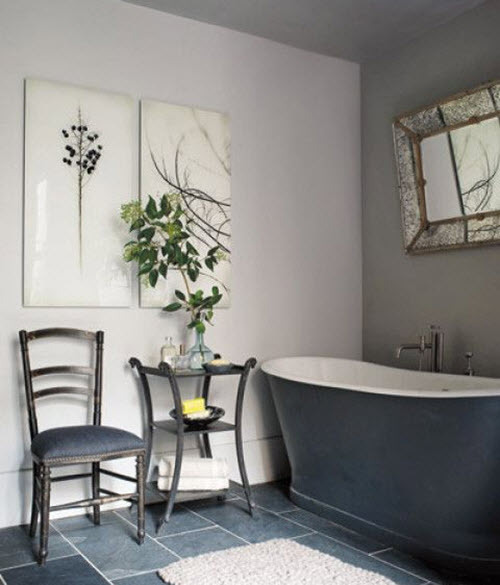 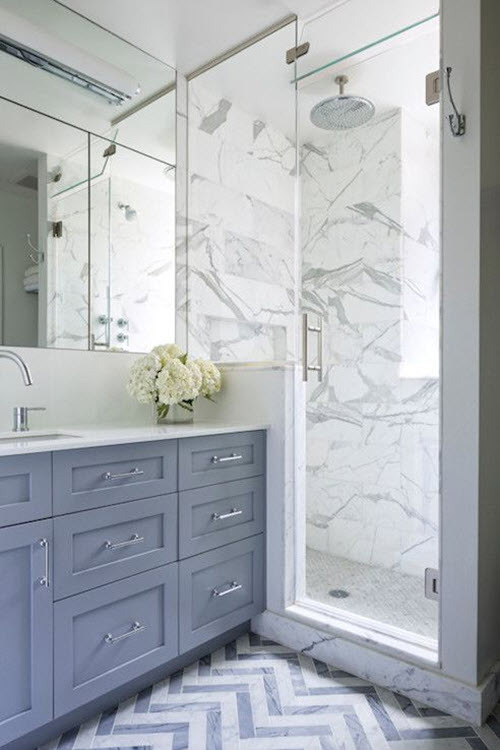 However many people prefer using blue grey tile for the floor. 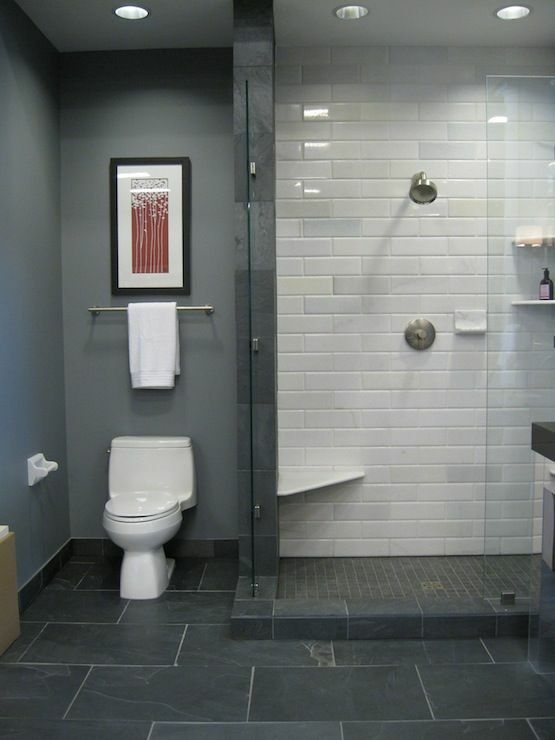 It looks interesting on both surfaces though. 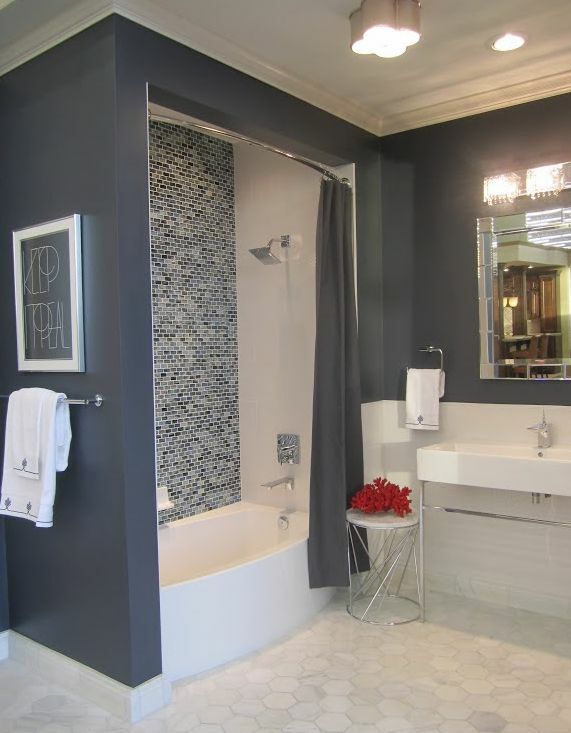 A complete harmony of the space is achieved by adding certain decor items and bathroom fixtures of certain shades. 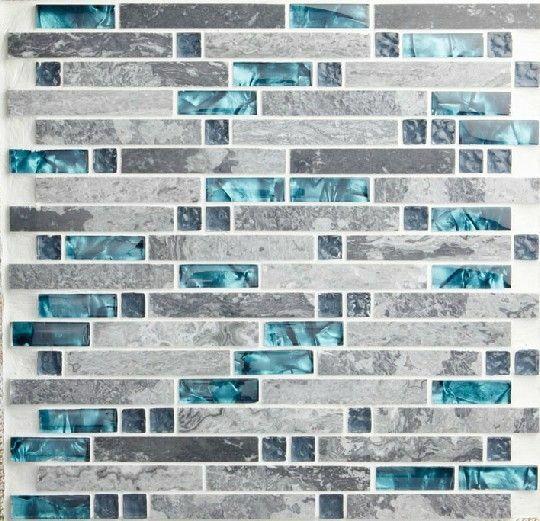 But it’s better to see once than to describe thousand times so just look at our photo ideas below and get tuned to the blue grey wave! 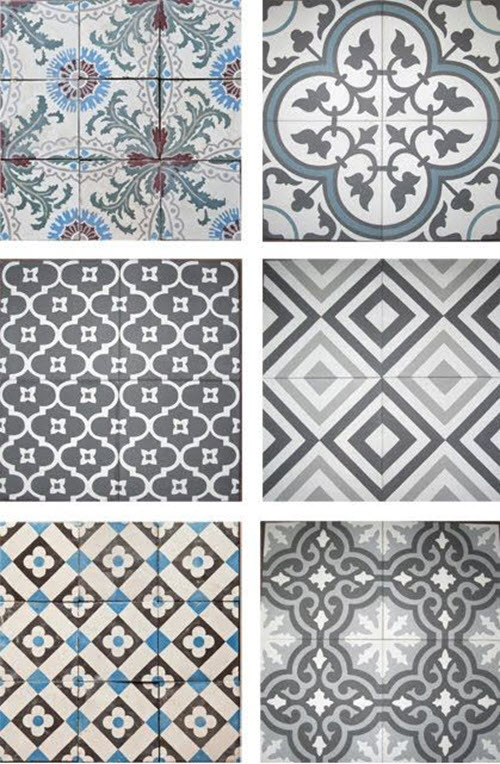 Can you tell us what the name and brand of the tiles in your pictures?